Skye Gravestones | John & Christina (Mackay) Mackinnon. John & Christina (Mackay) Mackinnon. 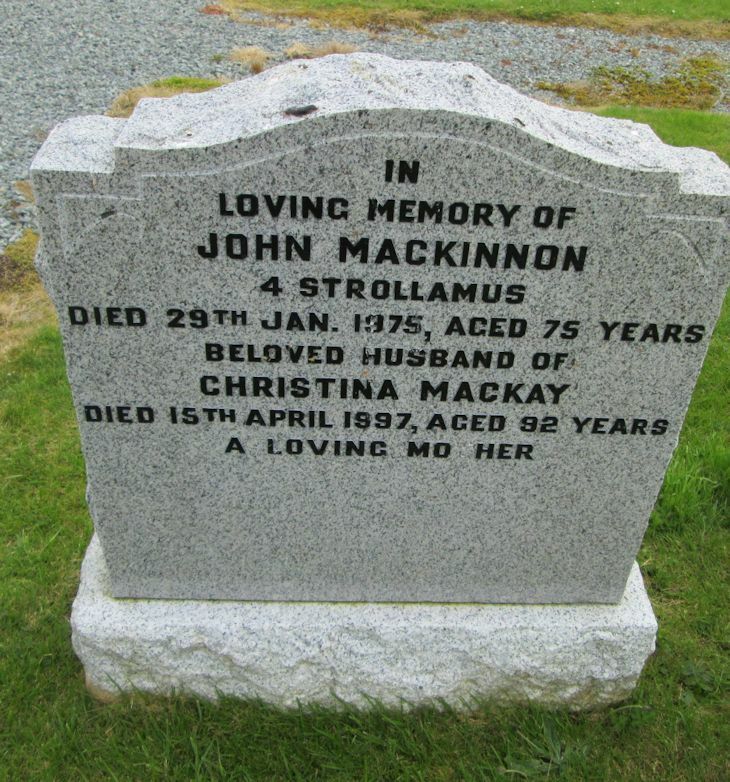 In/loving memory of/JOHN MACKINNON/4 Strollamus/died 29th Jan. 1975, aged 75 years/beloved husband of/CHRISTINA MACKAY/died 15th April 1997, aged 92 years/a loving mother.